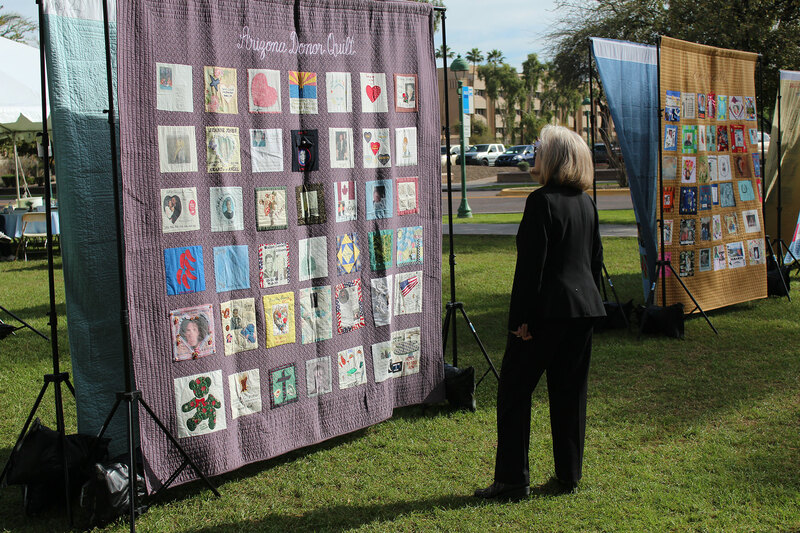 The Arizona Donor Quilt and its companion, The Donor Patches of Love (created by children), are mosaics of color and texture that engage not only the eye and mind but also the hearts of all those who view them. 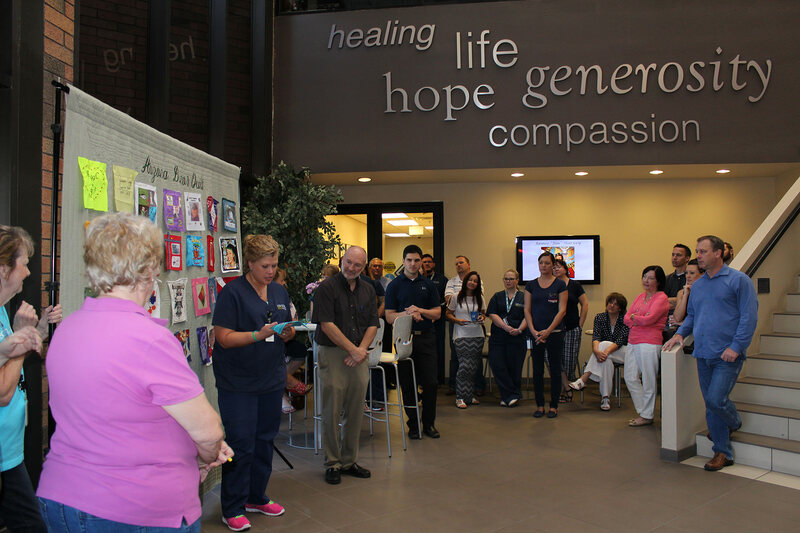 The quilts are dedicated to the memory of Arizona donors and donor families. 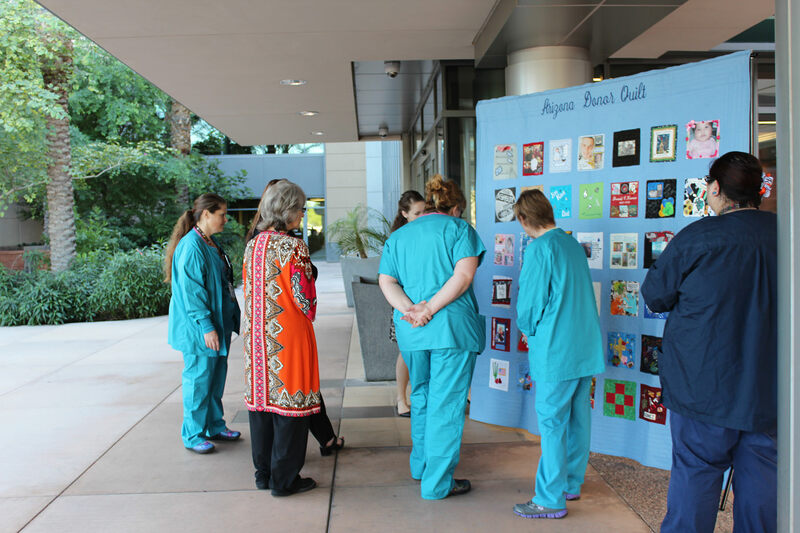 They are quilts of compassion proudly displayed throughout Arizona at appropriate venues to bring awareness to the critical need for organ, tissue and cornea donation throughout our state. 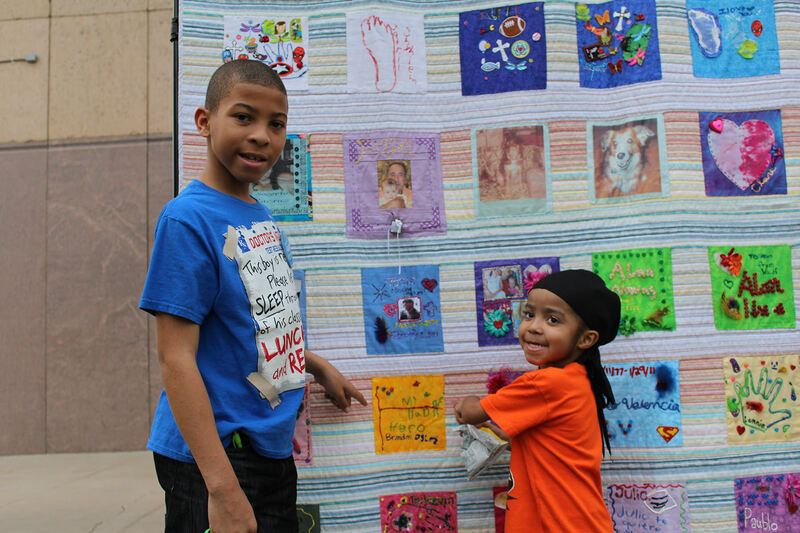 We invite you to add your loved one’s story by creating a square for the Arizona Donor Quilt, while the children of your family are invited to create their own square for the Arizona Donor Patches of Love Quilt. 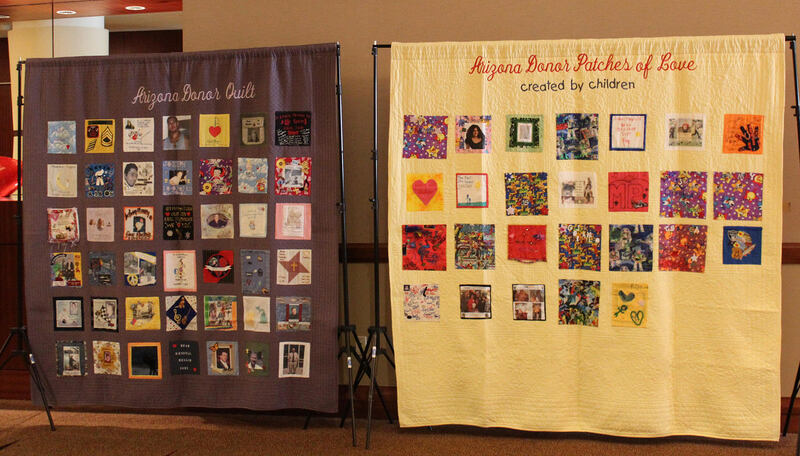 When creating a square for the Arizona Donor Quilt or the Arizona Patches of Love Quilt, your quilt square should be no larger than a 9-inch by 9-inch square of fabric allowing for a ½ inch border all the way around your square to be folded under. This will leave 8 inches of viewable work for your quilt square after sewing your square onto the quilt. You do not need any batting behind your square. You may use any color fabric (bright colors tend to stand out better), paint, markers, thread and charms (please sew on, do not glue on). 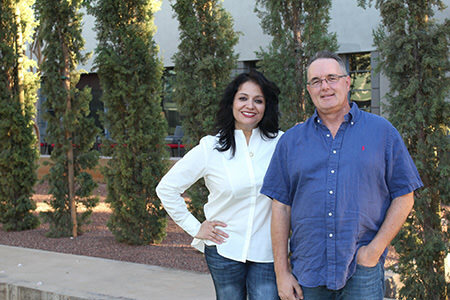 You may also use pieces of clothing, beads, etc., or anything that represents your loved one’s interests or hobbies to design your square. 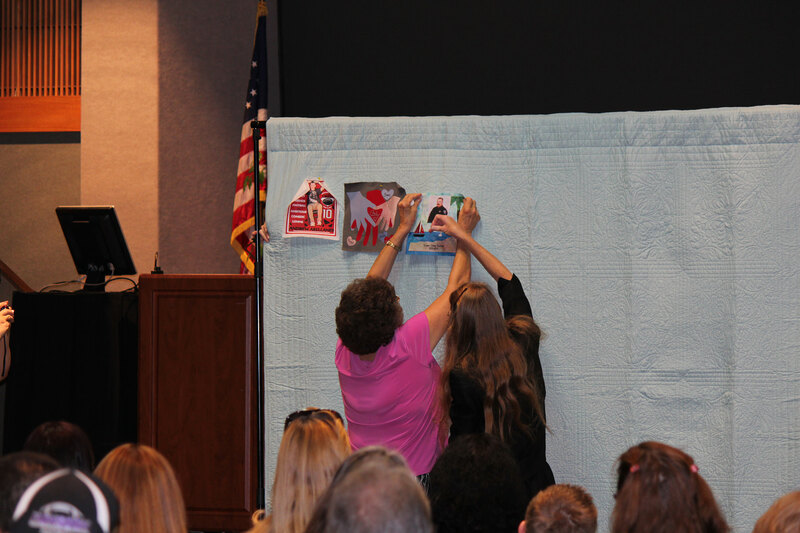 Only photo transfers or iron-on photos are acceptable, please do not attach actual photos onto your quilt square.